We LOVE emails! In fact, 72 percent of consumers say emails are their number one choice in brand communication. And businesses that use email marketing see significant financial returns. One research firm is predicting that 225.3 billion emails will be sent every day this year worldwide, with businesses generating 53 percent of that number — Overall, a five percent increase from previous years. Wow! As businesses send more and more emails to subscribers, it will be key to stand out with easy-to-read, scannable emails in order to immediately catch and maintain your reader’s attention – and get your emails opened and clicked. A scannable email allows your busy reader to get the important information they need much faster. So rather than overwhelming your reader with a block of text and having your email sent directly to the trash folder, there is a much higher probability they will read and click. There are a few tactics you can use to make your emails more scannable, such as using descriptive and/or interesting headlines to quickly summarize your point. Or, catch your subscriber’s attention by writing short paragraphs and sentences. To further increase readability, I also encourage you to use images and white space appropriately to separate chunks of text. Your subscribers are all unique, and if what you’re looking for are great results and meaningful relationships then you’ll want to personalize your emails. Personalized emails get close to 30 percent more unique open rates and 41 percent higher click-through rates – now that’s something to cheer about! While segmentation is one of the best ways to customize your emails to your subscribers, you might need to try some other methods in order to stand out and sparkle to each of your individual subscribers. 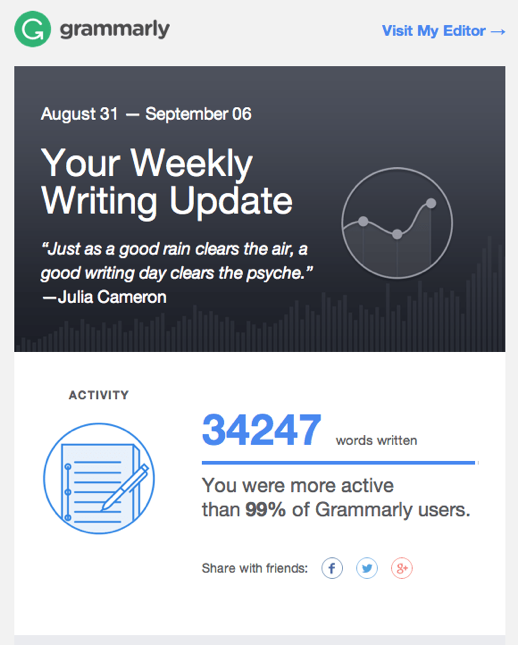 Dynamic emails, for example, contain content that is personalized to each subscriber. I’m not just talking about referring to them by their first name; you’ll need to go beyond that in order to position yourself for awesome results. Think about how much more impactful it would be to utilize a headline or call to action that is dynamic based on a recipient’s persona, job role, or region. Finding ways to make your emails resonate with your contacts not only increases relevancy but also increases engagement. Dynamic content can help you do that! With subscribers increasingly using mobile devices to open emails — 54 percent and growing according to Litmus’ State of Email Report this year — placement of the CTA is just as important when designing your emails to be scannable and easy to read. Try placing your CTA toward the top of your email, and you just might be pleasantly surprised with the increase in clicks! But to know for sure, try conducting an A/B test and see how your audience responds. Automated emails are not a new tactic, but surprisingly there are many businesses that are not doing it — even though the data shows that companies using automation see 50+ percent higher conversion rates than those that don’t use automation! A good start would be with a Welcome Campaign. Think of it in terms of dating. Someone visits your website and signs up for your monthly newsletter. You don’t want weeks to go by before contacting them because they might get the impression you’re not interested and move on. Instead, acknowledge their interest and show them it’s mutual, and with each additional contact try and learn more about that individual subscriber — just like you would if you were dating them. Over time, you’ll gain a wealth of information, helping your organization to deliver personalized dynamic content to your subscribers – and they will love you for it! When most people compare the appearance of a website to an email, they are likely to say that the website is more visually interesting. However, this is quickly changing as interactive emails start to hit people’s inboxes. There are a couple of reasons why interactive emails are now beginning to play a bigger role. One, more email providers are beginning to support the coding standards that allow for interactive elements in email (Gmail was a groundbreaking addition this year), and more and more ISPs are starting to support interactive emails. And two, interactive emails, when used well, can increase email engagement and click-through rates — which is music to an email marketer’s ears! However, before you go off and create something cool, keep in mind that building interactive elements takes time and some knowledge of coding and they are not supported by all email clients. So, make sure you’re confident that an interactive email will have a positive impact on your engagement and click-through rates before you spend the time building it. It’s Your Time to Stand Out and Sparkle! 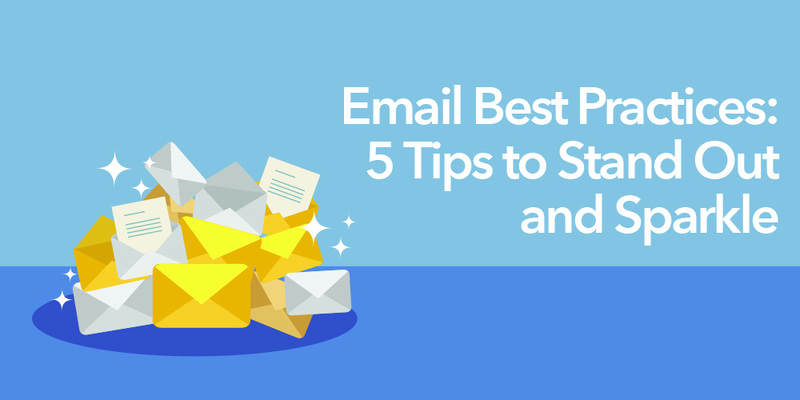 Consider incorporating these tips today, and engage your subscriber base with interesting and beautifully written emails. Your subscribers, and your business will love you for it! Need a partner to help you execute these ideas? Call us at +1 925-678-2511 or drop us an email.